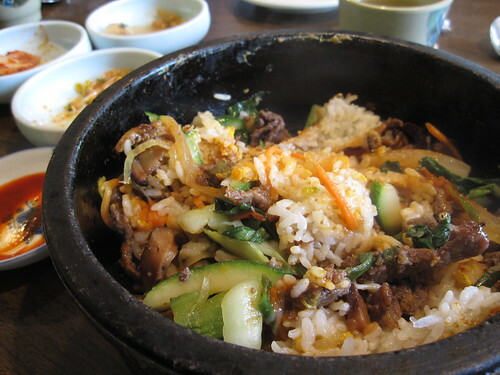 For wintery cold days look no further than Korean jjigae (stews) and hot stone bibimbap (mixed rice) dishes where the hot stone bowl keeps contents piping hot until the very last bite. An extremely wonderful thing when the air outside is oh so nippy. Mmmh, bubbling food in a stone plate, we've got that too here, it's called salta, a delicious yemeni dish you have to taste one day. Invitation to visit us is open of course.